This is another variety of delphinium that I find each year at my local nurseries. 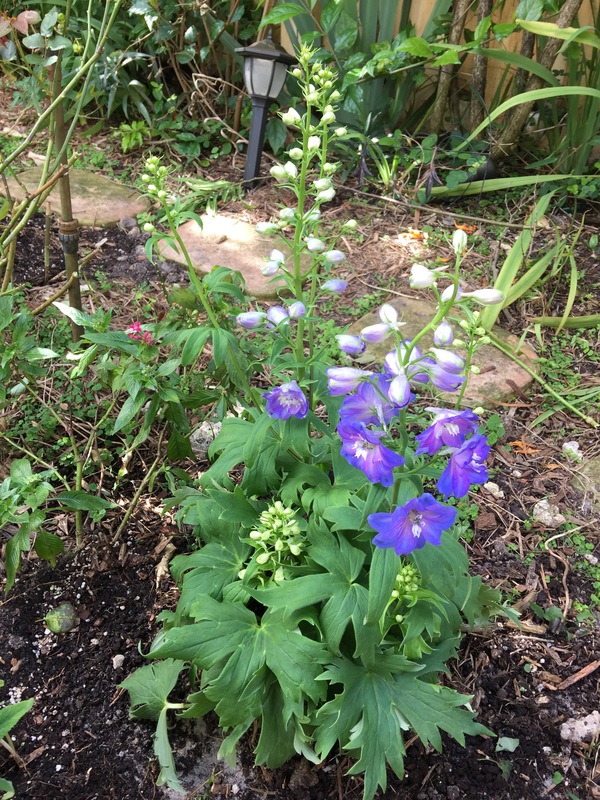 This type has larger leaves and much bigger blooms, but like all delphiniums, are very short lived in Florida. If you’ve had success with Delphiniums or Larkspur in South Florida, let us know your secret in the comments.